A simple note on Bitcoin and Blockchain Technologies. Status: Ready. It will remain a working document anyway. Remarks: It's a very simple note on Bitcoin Technologies. Hopefully..., I will not bore you to "death". Blockchain is just a useful technology. There is nothing wrong with it. It's just a technology, and you can use it for countless applications. at least in the form they can be accessed today. The latter is an important point for me. What is it what I think is wrong? Suppose a person has a considerable sum in bitcoins. an accident, and is not able any more to communicate. In such cases, the money is gone. morally fully entitled to it. without keys, while you are (morally) entitled to it. or whatever appropriate way, can help overcome lost keys. But people are just people, and some have fallen into the "trap", and the assets are gone. technically, and viewed from an organizational angle, it could have been realised. In short: I don't like the coffin-like "traps" inherently present with those systems. It took a while, before I gradually got this angle to look at it. I think that almost everybody will disagree with such angle to look at it. And indeed, I don't belong in the "investors world" and "speculative investments". you would be broke in recordtime. using the Bitcoin system as the "vehicle" to present the information. Anyway, in this note, "The Bitcoin system" is the vehicle to show some of those technologies. which were devised decades ago, but found an implementation in bitcoin technology, and other cryptocurrencies. and not bore you to "death". The latter statement is a serious risk, and I am fully aware of it. - If you are only interrested in Theory, then there is no warning in effect. that you fully understand how to backup your wallet, and keys. There are multiple "sorts"
of wallets, but they all contains your keys, and those keys are critical for "ownership" of coins. have a common "seed", which might help to prevent nasty situations. Also, take a good look at the pro's and contra's of a "hardware wallet". Study how to backup-, and saveguard your keys, and how to recover if some sort of error occurs. Also, be carefull not to restore an older wallet backup after you have performed transacions. As another safety aspect: it is advised to govern your wallet(s) yourself, and keep it save from others. Also, strong password protection on wallets and/or keys is advised. Sorry for those very trivial statements. 1.1 Quick overview: Blocks and the Blockchain. 1.2 Quick overview: The fields in a block. 1.3 Quick overview: The "Wallet". 1.4 Quick overview: The Bitcoin Network. 1.5 Quick overview: The Bitcoin Address. 1.6 Quick overview: Hard- and Soft forks. 2. A few words on security/crypto methods, used in Bitcoin Technology. 2.1 A few words on Symmetric and Asymmetric encryption. 2.2 A few words on Hashfunctions, Hashes and Digests. 2.3 A few words on Elliptic key encryption (Asymmetric encryption). 2.4 A few words on Bitcoin Theft. 3. The process of Mining, and Transactions. 3.1 A few words on Mining. 4. Just a few words on Smart Contracts. 1.1 Quick overview Block and the Blockchain. Fig 1: Just an illustration of a few Blocks in the blockchain. time (more or less) when the first block was devised. and a "body", listing all transactions in that block (the blue part). Note from figure 1, that each block, has in it's header the socalled "Previous Block Header Hash". This functions as a sort of Block ID, but it is calculated from the header of exactly the Previous block. the "Previous Block Header" of Block "N-1". This guarantees unique 32 bit strings in each block. The whole blockchain is copied (or in better words: is distributed) among many computer systems. Today, this number of computer systems already is very large. distributed copies of the chain, on all those other computer system. The faulty change would not be committed in the system, and simply will be rejected. Most security experts would indeed say that this protocol, is practically impossible "to hack". are considered to be "immutable|. So, they cannot be changed. Indeed, this results in a very trustworthy form of bookkeeping. a sort of "general ledger" which practically cannot be tampered with. register "transactions" with bitcoins (or other cryptocurrency which uses another form of Blockchain). In figure 1, transactions are simply denoted by "Tx", but those sort of records have a deeper structure ofcourse. By the way, the notation of "Tx" is in used Database Theory in general, to denote a "transaction". But, your "funds" in bitcoin, is indeed stored in the Blockchain. How is that possible? completely in the full blockchain. So, your netto saldo can be deduced from the blockchain. So where is your money? As records, possibly dispersed over various blocks, in the Blockchain. then the account of "Company A" is lowered with 100 euro, while at the account of "Company B", 100 euro's is added. No one is running around with 100 physical euro's. It's just a digital transaction. which participates in this "peer-to-peer" network. on your own system. The software will always try to "sync" with the other nodes. before it can be stamped "as done". As the number of users increase, this slows down the performance. indeed begun implementation. Transactions now, might be committed "off-chain" first, and only the "endresult"
is written to the Blockchain. See section 1.4.
easy to understand. Others are a bit more involved, and are discussed at a later moment. in figure 1 as the darker green part ("Version" up to the field "Nonce"). constant value, of 0xD9B4BEF9, which simply says, that this is a "bitcoin blockchain" type of block. as the maximum Block size. That number is debated among bitcoin users and designers. to change to maximum blocksize. Above, we already have touched upon the "Previous Block Header Hash" field. New blocks are added to the end of the chain, at a (sort of) average rate of one every 10 minutes. and that hash will be stored in the "Previous Block Header Hash" field of the current block. This way, we get a "well-knotted", linked list of blocks. up to the block under consideration (e.g. block number 101233). and temporarily two blocks exist with the same "height". This will be resolved somewhate later, by the system. For this reason, and others, the best identification is the block's "Previous Block Header Hash" field. However, the Block "height", or Block number, remains heavily used to identify a certain Block. The "body" of a block, is formed by a transaction listing. The full blockchain, registers all transactions that ever occurred, and transactions that will occur. which will hold recent transactions. who initiated the transaction, as well as a bitcoin address which represents the destination for a bitcoin payment. on your computer, which includes a wallet. This wallet contains a (strictly personal) "private key", and a "public key". The keys are stored in the wallet file. The "mechanics" of the keys and elliptic cryptography, will be touched upon in chapter 2.
quite impossible to derive the private key from this public entity. and later, more on that remarkable fact. Indeed, your public key is a tool to identify your bitcoins. So, the blockchain has registered your public key in one or more transaction. which proves that you are the owner of a bitcoin address. with your private key(s), and keep them save. usually within the next 10 minutes (or so). At least, this is how it was, not too long ago. The Lightning network will generally change this. A process called "Mining" is, and remains, critical for collecting transactions in a new block. Your wallet(s) contains your keys, which are critical to prove your ownership of Bitcoins. Therefore, you should also make sure to know how to backup your wallet/keys. Secondly, keys stored on portable devices should only be used for small transactions. articles providing good advice how to saveguard your keys. Originally, the Bitcoin network, is a Peer-To-Peer network, just using the Internet. The nodes on the network may have higher number of reponsibilities, or a lower number of responsibilities. -Full nodes, storing the full blockchain (in May 2018, it was about 160 GB), with a higher number of tasks. -Lightweight nodes, or Partial modes, not storing the full blockchain. They have a much less number of tasks. -Mining nodes, which are one of the above, but also using algolrithms for "solving the puzzle". -Archiving nodes, which may upload to new nodes, and a number of other tasks. to be computed soon. Then, afterwards, those blocks also must sync to full nodes. in consensus checking. The latter term is very interresting and must be explained a bit later. It's at this point not possible to explain it correctly and more in depth, without first studying "Mining"
and what the relations of Mining are, with Full- and Partial nodes. (eventually) new blocks. They "mine" blocks with new transactions. This is a difficult task. There is no problem at this point, since this section is simply a quick overview. of network. Many programming environments have API's for calling RPC's. and it's objects (blockchain) stays "integer". will come into existence, and computernodes will get alive, and users connect, the more delays are to be expected. However, the above is only partially true, how strange that may look at first sight. if users choose to run full nodes, then this will help alleviate performance issues. shows a typical number of around 200000-300000 (or so). Don't take this as a fixed number. then we would have on average 300000 Tx/86400 seconds = 3.47 Tx/sec. Ofcourse, on peak days it would be somewhat higer. limits the number of transactions / second. A good remedy (might) be the "Lightning network"
It's oriented mainly around "off-chain" transactions and commits, and sharing and chaining of channels. that they "open" a channel and a temporary construct, what has some resemblence to a wallet. which constitutes an enormous performance improvement. which helped in upgrading the transaction rate. When you start using Bitcoins, a Bitcoin address is needed. It represents an identifier where funds can be transferred to. P2PKH (or "Pay to Public Key Hash"), P2SH (or "Pay to Script Hash"), and Bech32 (a SegWit address format). The first one works like this: The appropriate bitcoin client software, generate the Private key first. you get your Bitcoin address. For information about keys and hashing: see chapter 2. - a private key is 32 bytes long (or 256 bits). - a public key is 64 bytes long, or 65 bytes, or 32 bytes (depending on coordinate perspective) (*). - a public Bitcoin address is derived, using multiple steps from the Public key (P2PKH), or by another method. There exists thus various formats of Bitcoin addresses. 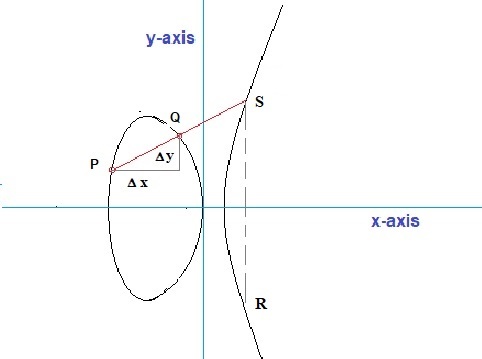 elliptic cryptography, it is technically a coordinate like (x,y). Later more on this. Private Key → Public Key → Bitcoin address. The derivation of the adress involves steps using SHA-256, RIPEMD-160 and Base58Check. The above is not the only route to obtain a Bitcoin address. We have no choiche than to pospone a proper discussion after some chapters with more info. This is indeed a rude and very high-level representation. For more details, we need to check the chapters below. most important ones are Hard forks and Soft forks. permanently diverge in two chains. It's possible that sufficient people or groups, want a fundamental change in one of Bitcoin's protocols. which can be evaluated by the users of the network. This looks a lot like the "RFC" mechanism in Internet. from Bitcoin, at august 2017, now using a Blocksize up to 8MB. This was indeed a hard fork. It's often defined as a permanent split from the legacy Block chain. A soft fork is a protocol change too, but still backward compatible with the former format. In short: Hard forks means a chain split, a soft fork is compatible with the former chain, and no split occurs. followed slightly later by two different software paths. in the process, since if an increase in fees are involved, they are motivated to support the change. A fork should always be announced, and a start day, or flag, should be determined. It's also possible that a proposed change, which would result in a fork, is generally rejected. are in line (sort of) with the info in this section. This concludes Chapter 1, a "Quick Orientation". It's also really usefull to read the original article of Satoshi Nakamoto, the "Inventor" of the Bitcoin system. Here you will get an appreciation of the original intentions and motivations. wishing to stay anonymous, or a group of unknown persons, who invented the Bitcoin system. And..., then that would cover only the basic theory. Here, just a few points will be touched upon, which are, I think, relevant in a Bitcoin discussion. 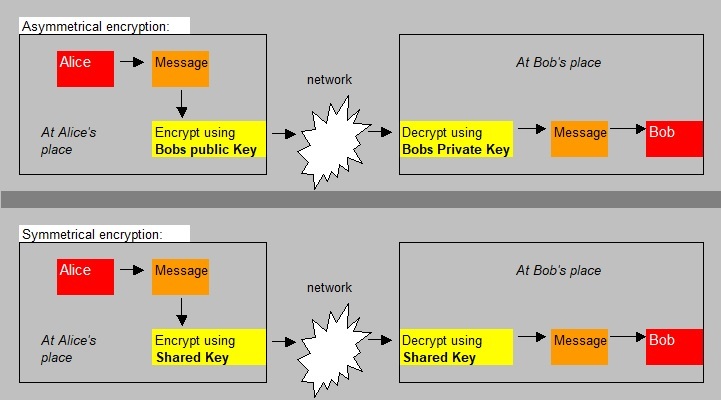 Fig 2: Just an illustration of Public key/Private key, and Shared key encryptions. by using the corresponding Public key of that owner. Let's see what this remarkable stuff is about. effects the Digital Signature used in the Bitcoin system. If needed, see sections 2.1 and 2.2 above. 2.3.2. The Bitcoin Elliptic encryption "secp256k1" ECDSA Protocol. 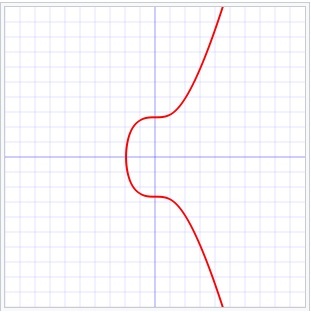 Fig 3: Just an illustration of the secp256k1 elliptic curve y2=x3 + 7.
while once in a while, large bitcoin thefts are reported. Some folks do not manage their wallets and/or keys themselves. They store them at such "financial" institution. in principle, that place can be hacked. As such, it has nothing "to do" with the Bitcoin system. This concludes Chapter 2. (I need to finetune, and add some parts, but that's for later). if it really might be formulated this way. But many folks thinks that it's true. new blocks, peer-to-peer messages etc..
⇒ As another example, what do you think of the fact that a Central Authority is absent? But not everybody is pleased with such an idea. of service providers etc..) has already begun implementations. The degree of automation of such services will be very high. which is remarkable too in the financial world. Should be remarkable for auditors too. There is also another highly remarkable mechanism at work in the "Bitcoin system". It was already architected in Satoshi's original article: it's called Mining. of "cryptographic puzzles", which are tried to be solved by a network of "miners". by such miner, the more chance this miner has, to solve such puzzle. As a "reward", bitcoins are granted to that miner. The first transaction in a Block, is a special type of transaction, namely the "coinbase transaction". The output of this transaction is coupled to the address of the miner and contains the reward. Note that these bitcoins are "new" bitcoins. Anyway, we know that miners try to create a new Block with yet unconfirmed transactions. Ofcourse, the procedure raises questions, such as "what exactly constitutes such puzzle"? "Who can be miners"?, "What are their procedures"? Secondly, does the procedure work, at all times? A central idea of the Mining system is, that the majory of miners are "honest". among (assumingly) those honest miners. then they will always be outpaced by the majory of honest miners which control the majority of CPU. Often this is called Proof of Work. manage to aquire the majority of CPU power, then, will that group be able to control the system? Theoretically yes, but in real World conditions, it is highly unlikely that this can happen. At least we can say that an individual miner will never aquire sufficient resources to outpace the rest. a basic idea behind the mining concept. In fact, the "principle of majory" is fundamental in the mining business. It's important to realize that the principle of mining, is paramount, at least for the Bitcoin Blockchain. New transactions are collected in a new Block, and that Block will be collectively "approved"
to be valid by all nodes which are needed to reach consensus. 3.1.1 The Remarkable FeedBack systems in the Blockchain. The Bitcoin system, (sort of) aims to have a new block, every 10 minutes. Ofcourse, this is not an exact number at all times. It's a sort of average. after applying enormous amount of CPU power), to guess the right hash. This enables a lucky miner, to create a new Block with collected new transactions. there is a risk that the condition of statistically 1 Block / 10 minutes, breaks down. the Difficulty Target is re-adjusted. In figure 1, you can see that indeed a field of 4 bytes in the Block Header, is reserved for the Difficulty Target. As such, the Blockchain uses a "FeedBack system" to control the amount of new blocks per time-unit. of rewarded bitcoins to miners. The algolrithm is, that the reward will halve every 210000 blocks. So, once it was 50 bitcoins, then later it was halved to 25 bitcoins, and currently it amounts to 12.5 bitcoins. 3.1.2 The crypto puzzle to be solved by the Miners. There is no "one Global" memory pool (mempool) of all unconfirmed transactions. However, every node has such memory pool, and broadcasts, new transactions to peers. Ofcourse, a particular node will also receive transactions. removed from the mempool (or mempools actually). and thus is about the size of 3 Blocks. which are most often labeled to be "uncomfirmed". When the miners try to calculate a valid block, the following events are important. The header of a new Block is in principle easy to construct, from the former block. hashing-based "Proof-Of-Work" challenge. All active miners are confronted with that challenge. is the solution of the cryptographic puzzle, and it's also often called "Proof-Of-Work". The minimum number of leading zero's, relates to the "Difficulty Target" as was discussed above. As time progressed, as of 2009, the number of leading zero's, increased on a regular basis. Next, we will try a somewhat deeper exploration of Bitcoin Addresses. We already have seen this, but for easy reference, it's listed again. - A public key is 64 bytes long, or 65 bytes (depending on coordinate perspective) See also below. - A public Bitcoin address is derived, using multiple steps, from the Public key. There exists even a few various formats of Bitcoin addresses. But this is not the only way to obtain a Bitcoin address (see below). A private key is a personal secret number which allows you to spend bitcoins. You may have multiple Private Key's and multiple Wallets. All your transactions are signed with hashes of your Public Key. if indeed "elliptic key cryptography" was used to generate the Key. In this system, the Private Key is used, to generate the Public key, using elliptic key cryptography. elliptic key cryptography, perse. For example, RSA (like RSA-256), is much used too. is actually a coordinate, expressed as (x,y). For details: see section 2.3. For a Private key, we do not have such difficulty, since that is just a scalar (just a number). as the components of a Public Key (in elliptic key cryptography). Note: In other methods likes RSA, this is not an issue. So, how do we deal with something that actually "looks" like a vector, or point in R2? in hexadecimal format, you could concatenate them (glue together) to arrive at a 64 bytes long string. -You could also wonder, why not simply only the x or y coordinate is used? from some difficulties in the "sign" of such coordinate component. 0x04 (32 byte X coordinate + 32 byte Y coordinate), resulting in a 64 byte key, or 65 byte construct. 0x02 (32 byte X coordinate), resulting in a 32 byte Key, plus a parity designating byte. The latter is also called, a "compressed Public Key". Note that even more "constructs" exists. A Bitcoin address represents a destination for a Bitcoin payment. Above we have seen that an adress is formed by Private Key → Public Key → Bitcoin address. At least, that should make everything uniform. But in reality, it is not, due to certain reasons. To generate an address using other methods, is possible too. from the Public Key, as we already have seen above. on the Bitcoin scripting language. the segwit implementation, and as such it is a SegWit address format. A Blockchain implementation, might be used as a basis for Smart Contracts as well. to implement "a machine" with exact predictible outcomes. and replicated with that specific Blockchain. The many copies of the "contract", gives the same benefits as is true with the Bitcoin Blockchain. in this domain, are aware of this. Is a Blockchain absolutely needed for the implementation of a Smart Contract? For now: Yes. At the moment, it's a good means for implementing Smart Contracts. And contrary, "Central solutions"
are just the stuff that is tried to be avoided using e.g. Bitcoins and, indeed, also with Smart Contracts. no Central Authority etc.. Thus indeed, the answer is "yes" (for now). However, the code that's used for smart contracts, needs to meet certain requirements. mundane semantics are required, like decision logic (like if..then..else), and loops, and branching etc..
which many folks call "The Blockchain App" platform. However, smart contracts better have a slower, very precise, implementation. If you look at Bitcoin, it has proven itself over many years now. 4.2 A simple example of a smart contract. Please do not have "high" expectations of this section, since it is extremely simple too. most important property: they both fly using the same basic principle. Ethereum is more of a "programmable" blockchain, if you would compare it to the Bitcoin blockchain. The Ethereum nodes in the network, run the Ethereum Virtual Machine (EVM). well-know Java Virtual Machine (jvm for java apps), or the CLR of the .NET environment. However, this time it's completely de-centralized. And, just like e.g. the JVM is the runtime for Java apps, similarly, the EVM is the runtime for smart contracts. uses (or requests) the methods of the EVM. data and functions etc.. etc.. However, developing on Ethereum is not limited to Solidity. The list of dev environments, is growing. If you compile your Solidity source, it will be "bytecode" than can run in an EVM. arrays, key-value pairs etc.., is stored in Merkle "tries" on the node. mechanism for running a transaction or contract in Ethereum. and deploying a smart contract. The article below, is such an article. succeeds in showing a methodology of creating smart contracts in Ethereum. Besides showing how to create and deploy one, it also gives good idea on the Ethereum environment itself. If you like to try that article, you can find it here (medium.com). might be huge, and maybe, is not exactly what everybody wants.. I think that there still is room, for more comprehensive social-economic studies. - The energy consumption of "mining", might be somewhat troublesome as well. Over the last few years, it increased sharply. So how will that develop in the next years? It seems that thorough scientific research, is still missing. I really would like to see some well-backed figures and forecasts. hold money in the present form together with creditcard Systems alive? come to this of the old system? Answer: Indeed this comment, might put it in a certain perspective. However, the problem is that scientific data, or well-funded estimates seem to be missing. numbers on how it is "now", and would show us some realistic forecasts. which may even diminish somewhat in numbers and volume... At this time: No idea at all.